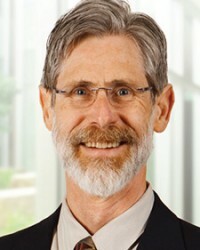 Dr. Steven Buck graduated from Phillips University in Enid, Oklahoma, completed postgraduate studies at the OU Health Sciences Center, and is a graduate of the OSU College of Osteopathic Medicine and Surgery. He completed his residency at OSU Medical Center and his fellowship at Roswell Park Memorial Institute at the State University of New York, Buffalo. Dr. Buck is board certified by the American Osteopathic Board of Internal Medicine in internal medicine and medical oncology and is a Fellow of the American College of Osteopathic Physicians. He is a past Chief of Staff at OSU Medical Center, past Chairman of the Osteopathic Founder’s Foundation and a recipient of their Physician of the Year Award for 2006. Dr. Buck continues to provide lectures at the OSU Medical College and participates in postgraduate resident training as an Adjunct Clinical Assistant Professor of Medicine. His area of special interest is lung cancer and wellness screening. Dr. Buck is certified by MD Anderson Cancer Network®, a program of MD Anderson Cancer Center. What is the CMS Patient Survey? For location specific contact information, visit our Contact Us page. © 2019 Oklahoma Cancer Specialists and Research Institute. All Rights Reserved. Proudly made by Byers Creative.